React: I can’t speak with authority on the average Jew or Muslim but I can say that he is spot on with the average Christian. We use big words in our claims of what the Bible is. 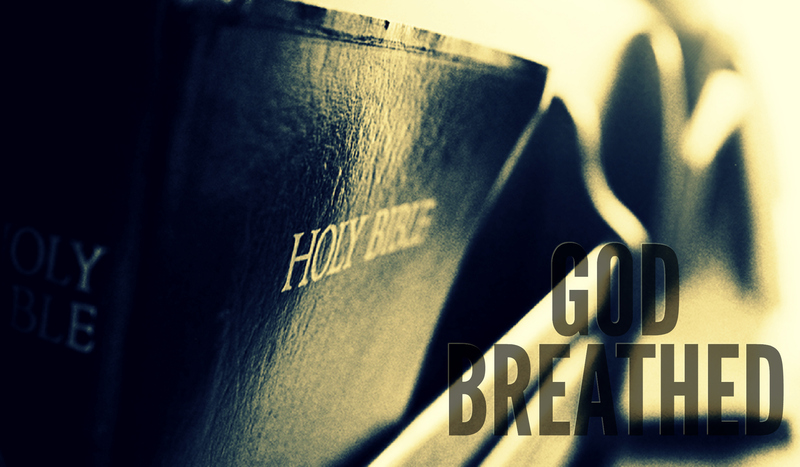 We say things like infallible, authoritative, and “God breathed” which comes right out of this verse. In spite of our claims, outside of a few pet verses that are often used out of context most Christians do not spend nearly enough time learning, studying, and applying the Bible to our lives. I was just reading last night that according to one survey the most commonly memorized “Bible verse” is “The Lord helps those who help themselves.” If Benjamin Franklin knew that he would so often be quoted as scripture he would probably roll over in his grave. Could it be that we are so ignorant of our own scripture because the Bible not only teaches us, but it rebukes us? Is it because it not only trains us, but it also corrects us? Is it because when it equips us to do good, then we are actually responsible to get off our butts and go do it? Dear God, I am sorry for my apathy when it comes to studying and learning Your word. Even more, I am sorry that I have not taken what I have learned and applied it to my life. Help me to fall in love with the Bible again. Even more, help me to make it the authority for how I live out my life. Amen. Can I re-blog this please? Yea, we are running in the opposite direction from where the bible pointing us. Sad.. Thank you for this post. I love to see post reminding Christians of the flawless and authoritative Word of God. God bless you. Thank you for this post. Sometimes we get so wrapped up in our lives that we forget the reason we even have life in the first place, God!. Therefore, we should have a hunger and a desire to get to know Christ and the word, but for some reason we would rather fill our time with other “important” things! Thanks for reminding us to fall in love with our creator’s word all over again! I agree also that too many Christians have little to no knowledge of God’s word, however I think far fewer Christians regard God’s word as infallible or “God-breathed” than you may think. Jewish and Muslim texts also rebuke and correct them. I don’t know if that’s it as much as it is a low regard for the scripture actually being directly inspired of God. If you believe it is merely men who long ago wrote down some good advice and nice stories, you free yourself from being bound to commands and have little need to spend time studying it. There is a real purpose to Scripture, and that purpose involves shaping and forming the believer. There is a relationship between the text and our life. There is nothing neutral in claiming the Bible as Scripture. The Bible must be “normative and life-shaping” because the writers were commissioned by God. The divine voice demands response. Interesting. When your stuck between a rock and a hard place, or cut off, it’s at those times/moments you really know what you are. Jesus passed that test and is called the Christ. But we define ourselves as Christian to others, knowing we are no better. This is so true! Thanks for the encouraging post! Embarrassing how many Christians don’t know the Word. May the Spirit move amongst us to change that. The Word and Spirit of God in us makes a threefold cord that cannot be broken but leads grace to grace and glory to glory! Thank God for God! Thank you Abba Father for sending Jesus the Christ! Thank you Christ Jesus for sending us the Holy Spirit! Thank you Holy Spirit for sending us! Arise, shine, Christ’s Church! Without the daily diet of Scripture reading we lack the foundation to defend our faith. Amen. We are lukewarm, many of us Christians are lukewarm. We don’t study the bible religiously as the Jews and Muslims does. Except for Pastors and those in ministry, I have never heard of people going to bible college just to know more about the bible which the Jew and Muslim does at an early age most often. Lately it dawn on me that my kids do not know as much as they ought to know about the bible. Why? Because I’ve not taken time to teach them, thank God for the Church I attend for they are learning alot from activities and stuff, yet there is so much they should know. We as Christ should start early to take personal responsibility to teach our children as they are educated in this secular place we are in. Recently I asked 60 people associated with churches in my area to help me with a survey on bible reading…. apart from myself not a single one had ever read a single bible book through…. not surprisingly I suppose I found myself the only person to have read the whole of bible. What is even more intriguing is that most bible studies in our area are in fact discussion groups … how is it possible to be informed by the loud voices of those who have never read the scriptures? How important is the Word of God to you? The Bible only works when we apply it. What you have said about those who call themselves Christians is SOOOOOOOO TRUE, especially the so-called Black man and woman. Before they believe the word of the God of Israel: this is who the Covenants are with. Before they believe the Holy Scripture, they will choose their Pastors over Gods words. They refuse to READ!!!!!!!!!! This is said out of LOVE!!!!!!! Peace! I actually do spend a lot of time digging into what it says. I think a lot of Christians are mislead into thinking that they don’t have to read the Bible to be saved. Many pastors preach to the congregation that if you ask for forgiveness and get baptized you’ll be saved. If you believe once saved always saved, which is completely unscriptural, then why put forth the effort to read and try to understand the Bible if you’re going to heaven anyway. There are some scriptures where God is begging us to listen to him, Isaiah 48:17,18 comes to mind. And we can’t listen to God without reading the Bible. When you think your pastor tells you all you need to know, that’s a problem. We’re all accountable before God and no man, pastor, preacher, bishop or pope can get us to Paradise for us we have to do it ourselves, so we have to have our own relationship with Jehovah God. And the most important thing that makes a relationship grow is communication. We talk to God through prayer and listen to him by reading His word (Isaiah 55:3).